Mumbai : The daughter of veteran actor Shakti Kapoor and Bollywood's young sensation Shraddha Kapoor, who began her acting career with a brief role in the 2010 heist film 'Teen Patti', and followed it with her first leading role in the teen drama 'Luv Ka The End', is being in the talks with the sequel to 'Dhadkan' movie. While, some time ago, there were rumors that a sequel of film 'Dhadkan' is being planned. 'Dhadkan' is the superhit film of the year of 2000, in which Akshay Kumar, Suniel Shetty and Shilpa Shetty were in the key role. Now the sequel of this movie and its stars in the talks, as reports claimed that Fawad Khan and Sooraj Pancholi will be playing the main roles in Dhadkan 2. Along with this, Shraddha Kapoor is the one being considered for the lead role opposite the two heroes. Shraddha will play the role of Shilpa Shetty, the main love interest of the both the heroes. Buzz is that makers wanted an actress who can carry the vulnerable and docile rather well. 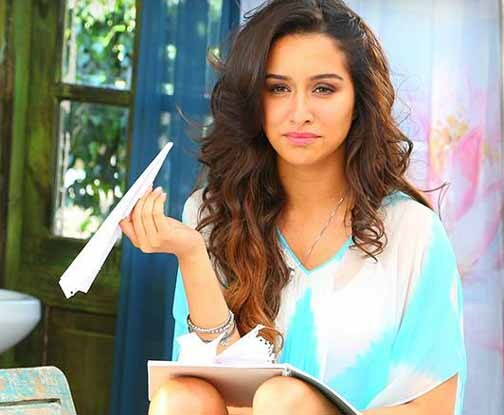 Shraddha suited the bill and has been approached by the producers. Notable, Shraddha kapoor and Sooraj Pancholi have never seen together before this. While Sooraj has been offered the role that Akshay Kumar played in the original, Fawad has been reportedly asked to step into role of Suneil Shetty. In the year 2000 movie 'Dhadkan', Akshay Kumar played the role of Ram, Suneil Shetty as Dev and Shilpa Shetty was seen as Anjali in the movie.